Young or old, tall or short, anyone can be a great putter. The formula for great putting includes starting the ball on line, rolling the ball with precision speed and being able to predict how the ball will break as it rolls. The first two skills can be learned and ingrained through productive practice sessions. This book will give you plenty of drills to keep your practice sessions productive and fun. Each drill will give you feedback which is the key to great practice. 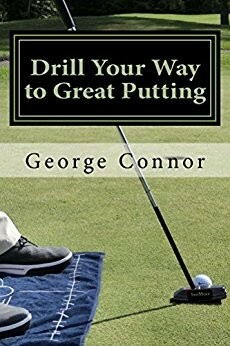 Author - George Connor, PGA has been teaching and coaching golfers for over 25 years. He is currently working with players on the PGA LatinoAmerican Tour, PGA Tour Canada and European Challenge Tour in addition to introducing players to the game and helping competitive players develop their golf skills. He has been named twice by the Connecticut Section PGA as the Teacher of the Year. George is a Certified Aimpoint Instructor, New Rules Golf Coach Certified and is certified by the SeeMore Putter Institute.